So I showed my wife this photo and her first words were "YUCK." She was not referring to the photo - at least that is what she said - but to the deer carcass. She does not like dead stuff or taxidermy of any kind. 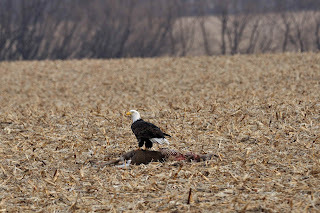 I tried to explain that I had no choice but to capture this bald eagle on the deer carcass. He was eating it. 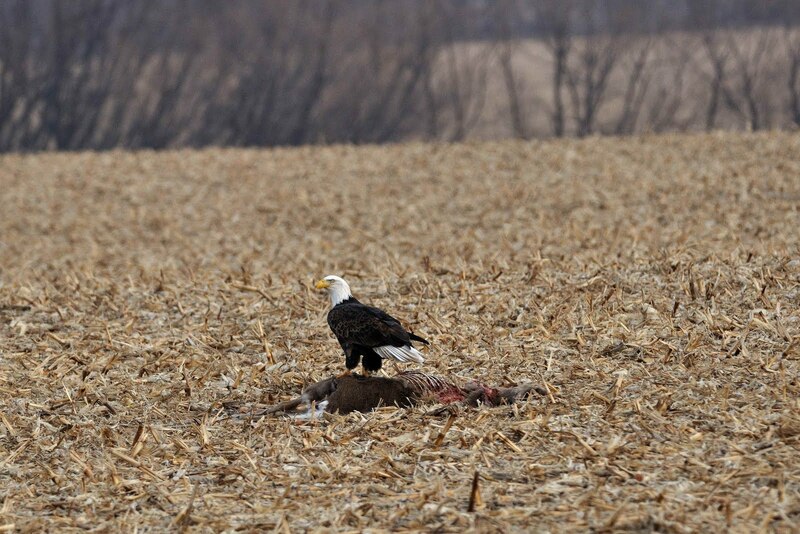 As you can see - these eagles really do a job on the deer. The ribs are very exposed now. If you click on the pic - it will enlarge. More to come. Sure wish I had a 600mm. I don't think Santa is going to be bringing me one.